However, one of rugby’s biggest flaws lies in its law book. The actual law states that a native player who has been selected for a tier-one nation such as Australia, New Zealand and England cannot switch his allegiance in order to play for his homeland. For example, a player like Israel Folau who was born in Australia and does hold an Australian passport but whose parents were born and lived most of their lives in Tonga, could not play for his homeland. Folau’s parents – like a lot of other Pacific Islander people – moved to Australia because they believed that it would be the best thing for their family. An example of this law change being successful was evident in the 2017 Rugby League World Cup. Rugby league in the last couple of years has allowed their players in tier-one teams to change their allegiances in order to play for their homeland countries. 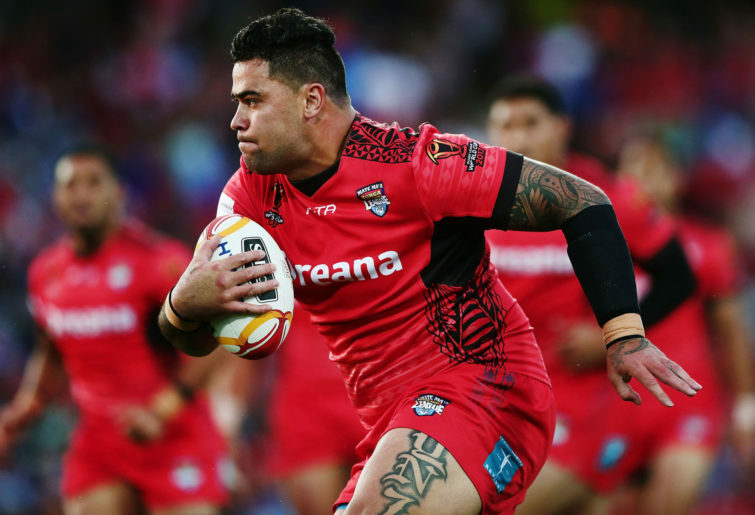 Players such as Jason Taumalolo and Andrew Fifita both switched their allegiances from their respective tier-one teams in order to represent Tonga at the most recent Rugby League World Cup. Both these players had a massive impact on not only the people of Tonga but the entire Pacific Islander community, especially in Australia and New Zealand. Fifita and Taumalolo both rejected up to $60,000 in order to play for their homeland, where the would be payed not even a fraction of what they would’ve received had they played for Australia or New Zealand. The impact both players had was evident through the fact that Tongan fans flocked in their masses to support their national team. Even against New Zealand, Tongan supporters filled 95 per cent of the stadium even though NZ was the home team. Tonga in fact pulled off one of the greatest upsets of all time, beating NZ 28-22 – the first time in history a tier-two team had beaten a tier-one nation. This decision by both players helped make the actual tournament a lot more competitive, as usually top-tier nation would dominate and the same old teams would make the finals. However this time it was different. Post-tournament, many other professional players were determined to switch allegiances in order to make competition a lot more competitive and to inspire the young generations of footy players from their homelands to play for their country. They didn’t have to play for the ‘big’ countries in order to make it to the main stage. This simple change drastically expanded the game of rugby league and is something the governing body of rugby union should really consider doing in the near future as the World Cup is fast approaching, beginning at the end of this year. All the world’s rugby union governing bodies must look at the impact that both Jason Taumalolo and Andrew Fifita had on the league world, and think about the many other stars who could have the same effect if this law was introduced into the world of rugby union. This could really work as almost half of all registered Super Rugby players come from a Pacific background and many of the world’s greatest teams like the All Blacks have a great number of Pacific Islander players in their starting line-up. It would be great for the game as it would grow its global scale and make competitions a lot more enjoyable to watch as it isn’t just the same old teams winning and making the finals.